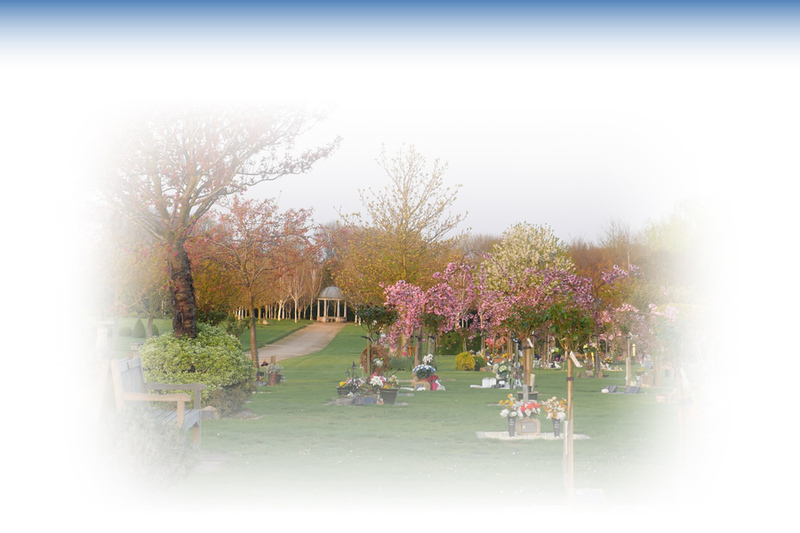 Our memorial gardens provide a beautiful resting place for loved ones and a contemplative retreat for family and friends. We can place a memorial at Harwood Park even if the funeral didn’t take place here. 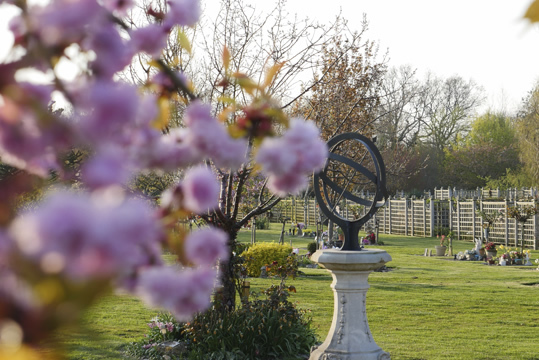 Our gardens are open for visitors to tend memorials, leave flowers or simply to feel comforted. 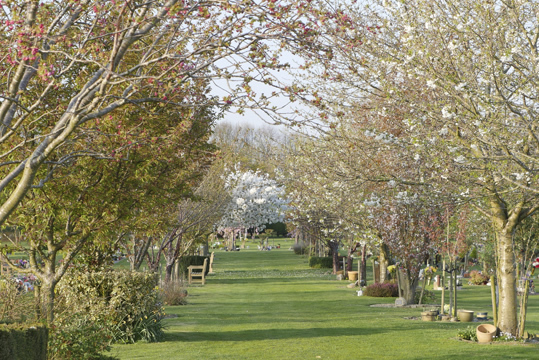 Individual circle plots follow a line of Cherry trees that cascade with pink and white blossom in the spring time. 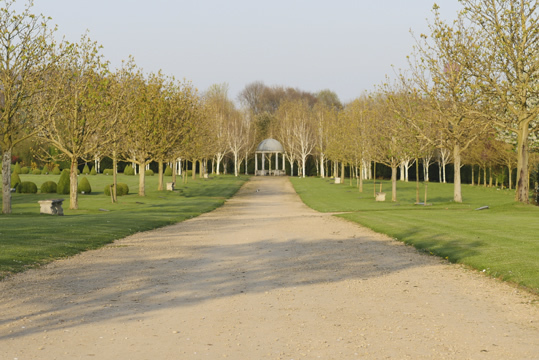 Here, Chestnut trees sweep majestically down a central avenue towards The Temple. 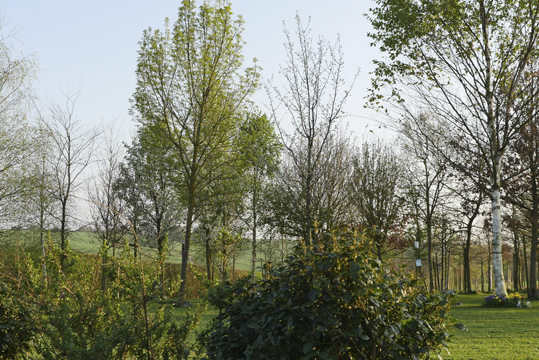 As its name suggests, this wood gives a wonderful broad view across the rolling countryside. Roses delight the senses with colour and fragrance in our hardwood trellis rooms. 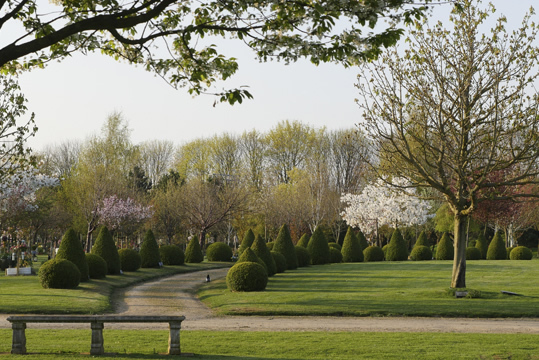 An ornamental crescent formed by an arc of ball- and cone-shaped topiary. 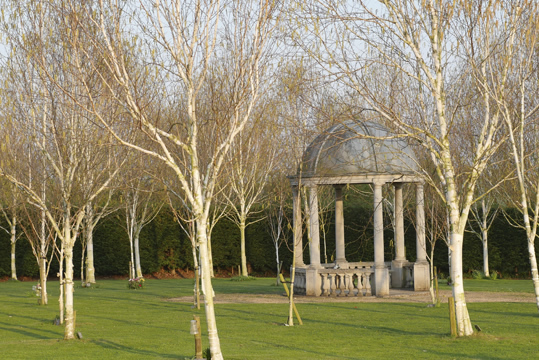 Surrounding The Temple, this grove is home to the Betula Jacomondi ‘Snow Queen’, known for its eye-catching white bark. This large woodland gives a glimpse of Datchworth Church in the distance. Almost a secret place, our little lake attracts colourful dragonflies and is a favourite with children who come here to feed the koi. 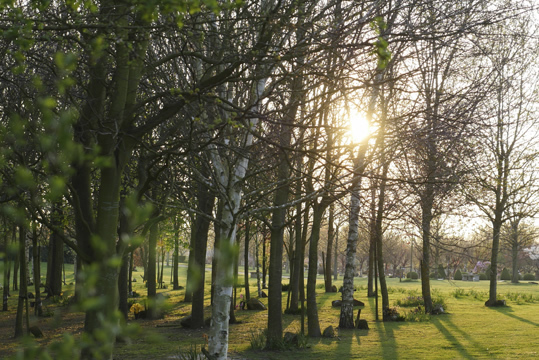 You may want to scatter your loved one’s ashes in one of our woodland areas or to choose a permanent memorial from one of the many we offer. Or, of course, you might want to take the ashes away with you to scatter elsewhere or cherish as a keepsake. Whatever your choice, we won’t rush you into making a decision and will happily retain the ashes for you until you’re ready. 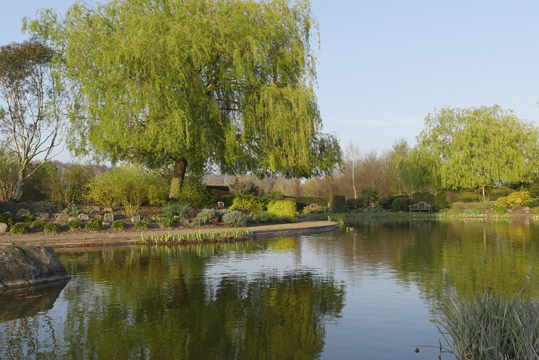 If you’d like a tour of our memorial gardens, please contact us on 01438 815555.